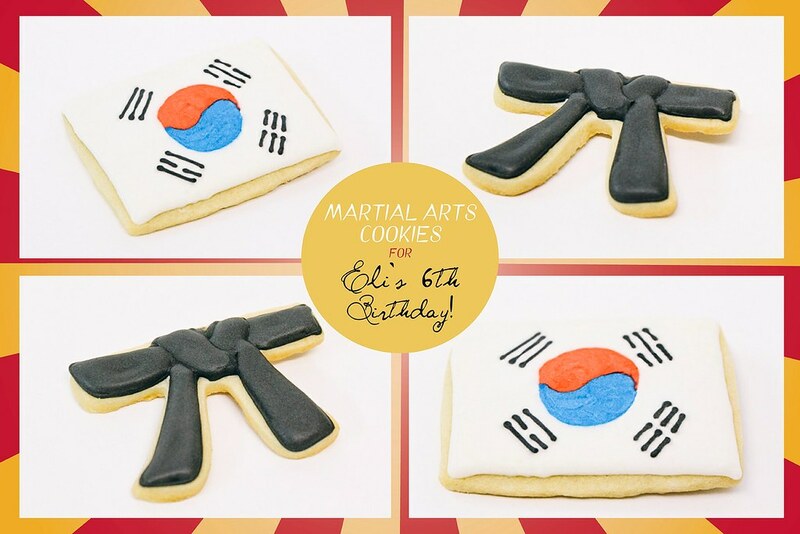 Martial Arts Birthday Cookies for Eli's 6th Birthday! I made these martial arts themed cookies for my sister-in-law Madie's dear friend, Rachel, who lives in NYC and was one of the bridesmaids in Madie's wedding along with myself -- in other words, Rachel is a fellow member of "Madie's Ladies". 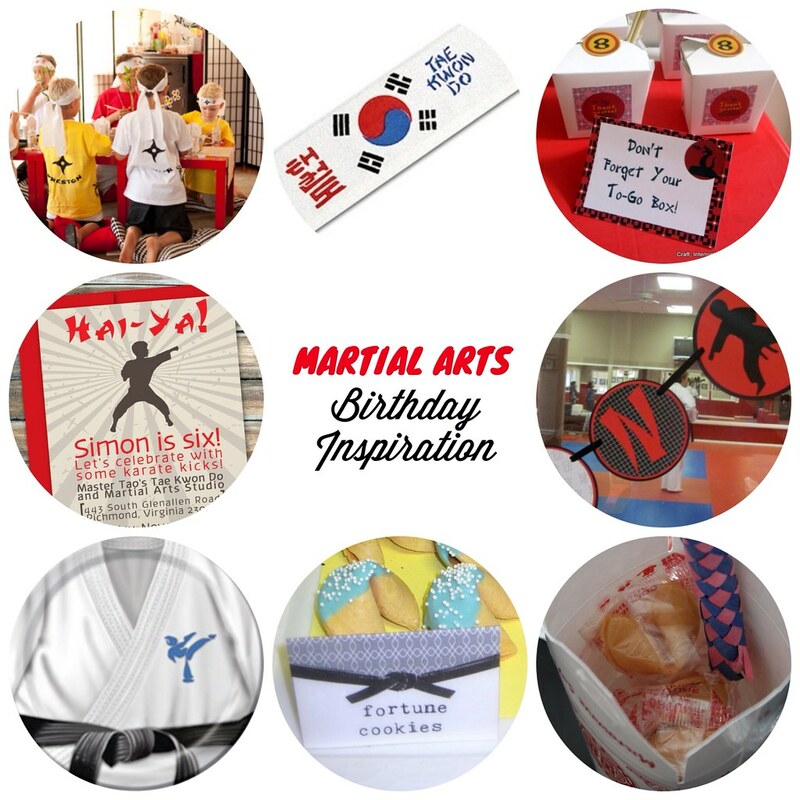 For her son's 6th birthday she had a Martial Arts theme party. She shared her birthday planning Pinterest board with me for cookie inspiration. Here are the cookies, which my dad took pictures of for me. Big thanks to Rachel for all the fun inspiration and the order!